← Scorpions – Fuchs Geh Voran. 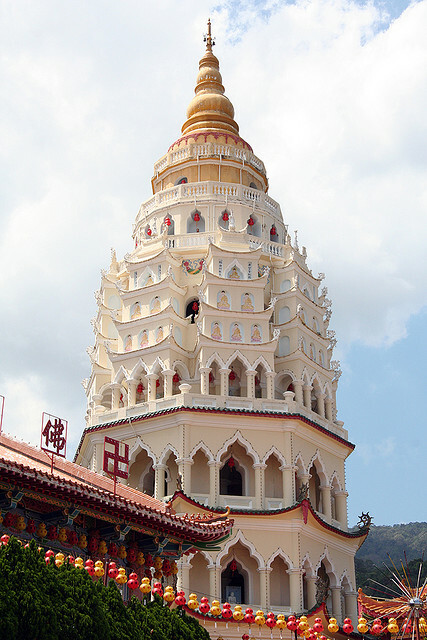 Kek Lok Si, Penang, Malaysia. Publicat pe 18 iulie 2014	de Cristi M.
The Kek Lok Si Templeis a Buddhist temple situated in Air Itam in Penang and is one of the best known temples on the island. It is said to be the largest Buddhist temple in Southeast Asia.The temple is heavily commercialised with shops at every level and inside the main temple complexes.Mahayana Buddhism and traditional Chinese rituals blend into a harmonious whole, both in the temple architecture and artwork as well as in the daily activities of worshippers. Acest articol a fost publicat în Photos / Quotes și etichetat Kek Lok Si, Kek Lok Si Malaysia, Malaysia, Penang, Penang Malaysia, Temple, Temple of Sukhavati, Temple of Supreme Bliss, The Kek Lok Si Temple. Pune un semn de carte cu legătura permanentă.